SAN DIEGO, CA – Renova™ Therapeutics, a biotechnology company developing gene therapy treatments for congestive heart failure and type 2 diabetes, announced today it has been selected to present at BioJapan, Oct. 12-14, 2016, in Yokohama, Japan. Jack W. Reich, Ph.D., CEO and Co-founder of Renova Therapeutics, will speak about transformational gene therapies and peptide infusions for chronic diseases at BioJapan, Asia’s premier partnering event for the global biotechnology industry. A pioneer in the field, Dr. Reich will present in a session on advancing gene therapy toward commercialization. 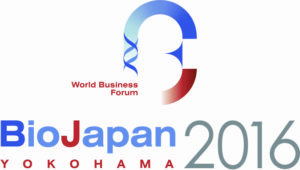 BioJapan has played an important role in facilitating interaction between Japanese and global companies and stimulating new business opportunities. The Japanese and global biotechnology industry’s top business development and licensing professionals, alliance management professionals, R&D personnel and biotech company executives will gather at Pacifico Yokohama for the 18th annual iteration of BioJapan. 138 million people in Asia have diabetes, a number that is projected to rise to 215 million by 2040, with related deaths to surge by 46% (International Diabetes Federation). In Japan alone, 65,000 deaths in 2015 were diabetes-related. According to the World Health Organization, ten percent of the country’s population – 11.8% of males and 8.5% of females – currently have diabetes. This year, BioJapan will be co-located with the all-new exhibition Regenerative Medicine Japan. Dr. Reich will present on Friday, Oct. 14, at 1:30 p.m. in Annex Hall room F204. Renova Therapeutics is developing definitive, one-time gene therapies and peptide infusion treatments to restore the health of people suffering from chronic diseases. The first indications the company is pursuing are gene therapy treatments for congestive heart failure (CHF) and type 2 diabetes, two of the most common and devastating chronic diseases in the world. The company’s lead product, RT-100, is a treatment that delivers a therapeutic gene directly to the heart during a routine outpatient procedure and has the potential to increase heart function in millions of patients with CHF. The company’s product pipeline also includes a groundbreaking gene therapy in preclinical stage for sufferers of type 2 diabetes, as well as a peptide infusion therapy for the treatment of acute decompensated heart failure. Renova Therapeutics was founded in 2009 and is led by an experienced management team in biopharmaceuticals and gene therapy. For additional information about the company, please visit www.renovatherapeutics.com.